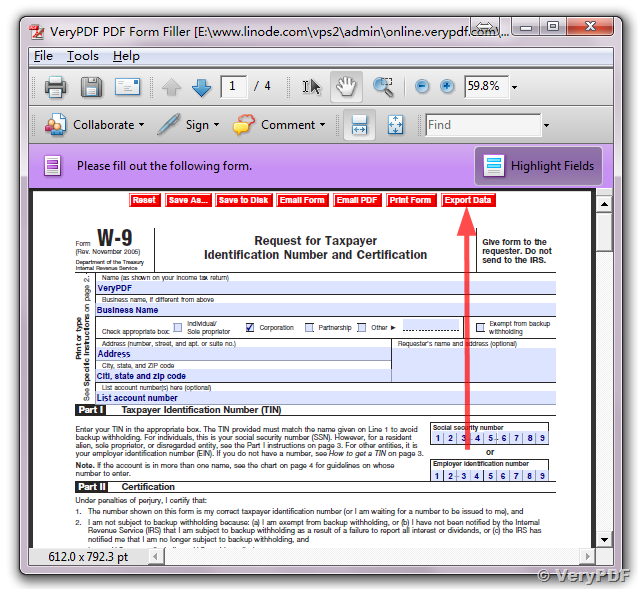 ← How to merge pages of PDF and specify output paper size under Mac system? VeryPDF PDF Form Filler Cloud API and PDF Form Manager Cloud API are subset APIs of VeryPDF Cloud API Platform, they are provide Cloud API functions to export and import FDF form data from/to fillable PDF file, they can also able to flatten a fillable PDF file to an non-fillable PDF file. You will get a FDF file with above URL. 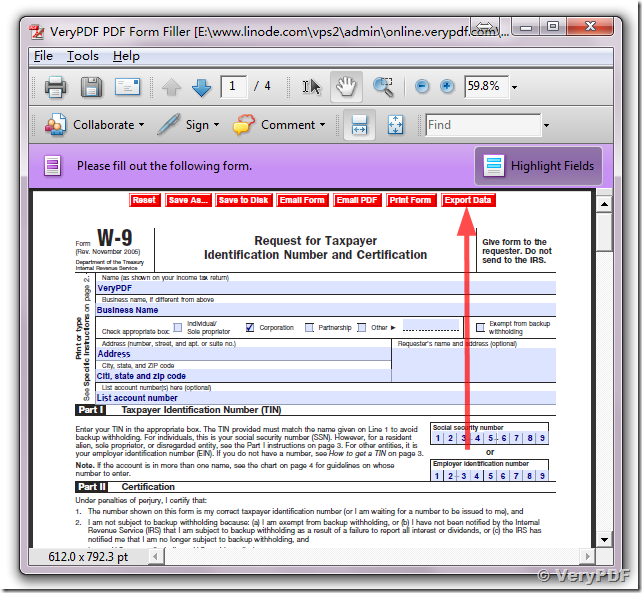 fill_form: Fills the fillable PDF's form fields with the data from a FDF file or XFDF file. If the input FDF file includes Rich Text formatted data in addition to plain text, then the Rich Text data is packed into the form fields as well as the plain text. VeryPDF Form Filler Cloud API also sets a flag that cues Reader/Acrobat to generate new field appearances based on the Rich Text data. So when the user opens the PDF, the viewer will create the Rich Text appearance on the spot. If the user's PDF viewer does not support Rich Text, then the user will see the plain text data instead. If you flatten this form before Acrobat has a chance to create (and save) new field appearances, then the plain text field data is what you'll see. action_flatten: Use this option to merge an input PDF's interactive form fields (and their data) with the PDF's pages. Only one input PDF may be given. Sometimes used with the fill_form operation. This entry was posted in PDF Form Filler, VeryPDF Cloud API and tagged cloud API, pdf form filler, PDF forms. Bookmark the permalink.